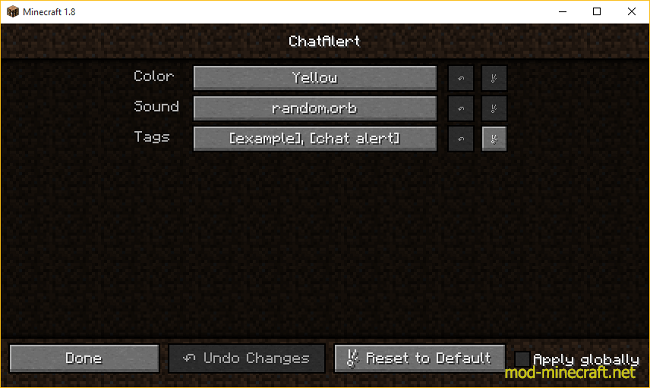 Chat Alert Mod that lets you create tags, and receive notifications when there tags are mentioned in the Minecraft chat. There is also a config gui. Here you can change the played sound, highlight color and tags. 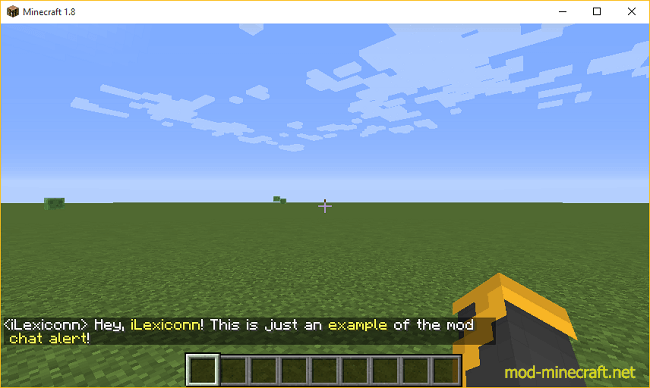 You can get by the config by going to ‘Main Menu -> Mods -> ChatAlert -> Config’. Your current Minecraft username is always marked as a tag, so you don’t have to add it to the list. This mod is also fully multiplayer compatible.